Learning Gems has done it again! 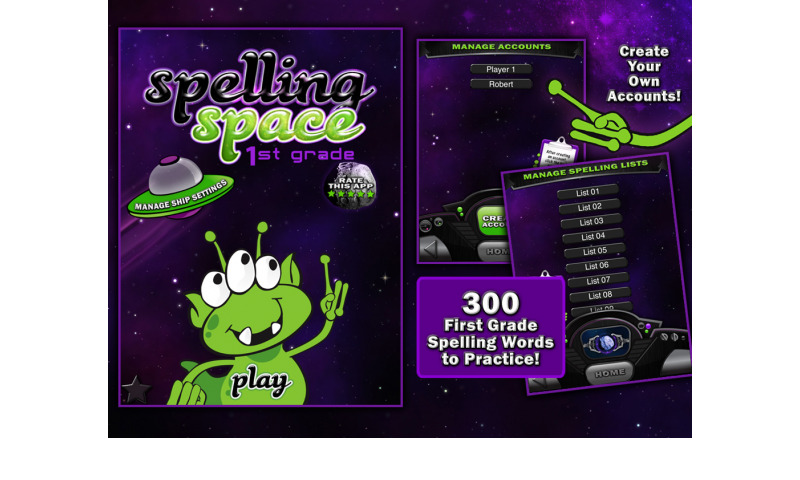 Spelling Space - 1st Grade is here! 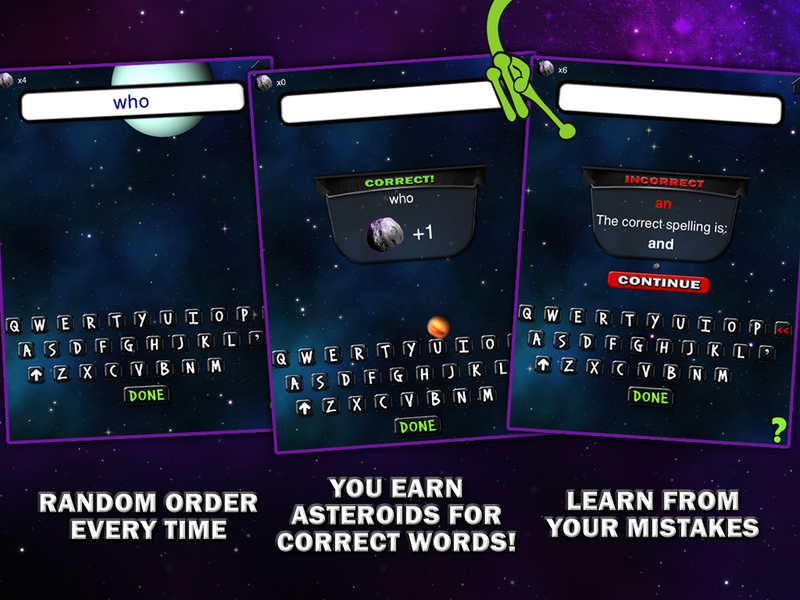 This version of our Spelling app is for everyone out there with children in first grade. Included is a pre-recorded list of 300 High Frequency words perfect for first graders. This app is designed to work on ALL tablets and is perfect for Kindle Fires and Color Nooks since those devices do not have internal microphones. 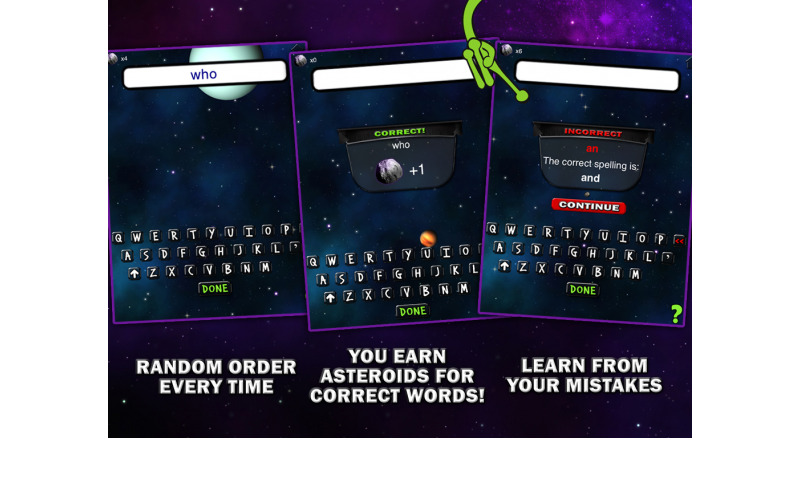 Create your own user accounts and then assign from the 30 pre-made spelling lists. The app remembers all test grades so that you can review their results and progress! (Plus, there's s fun min-game that kids love.) 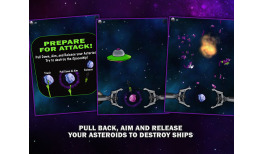 Your child will earn asteroids with every correct spelling - and at intermission and end of gameplay they get to fire the asteroids at the spaceships flying by! 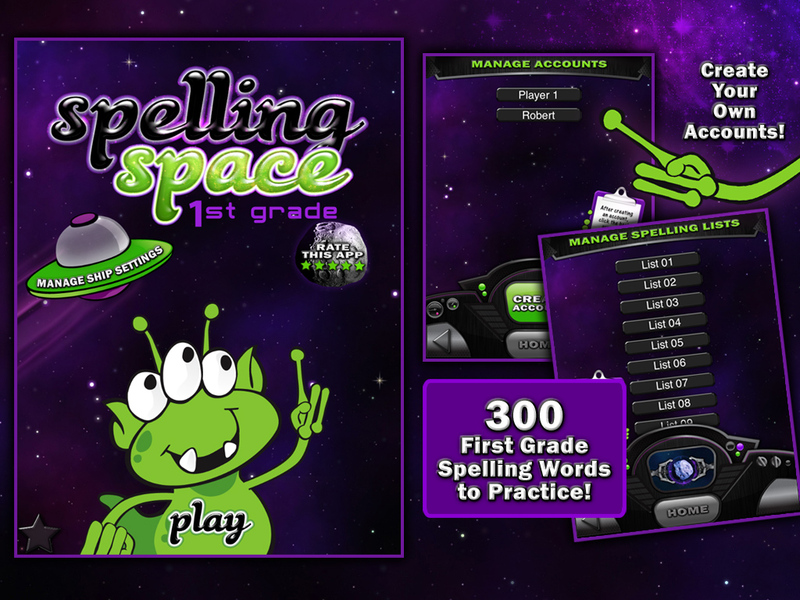 Spelling Space - 1st Grade is a wonderful learning tool that encourages kids to play/practice their spelling! 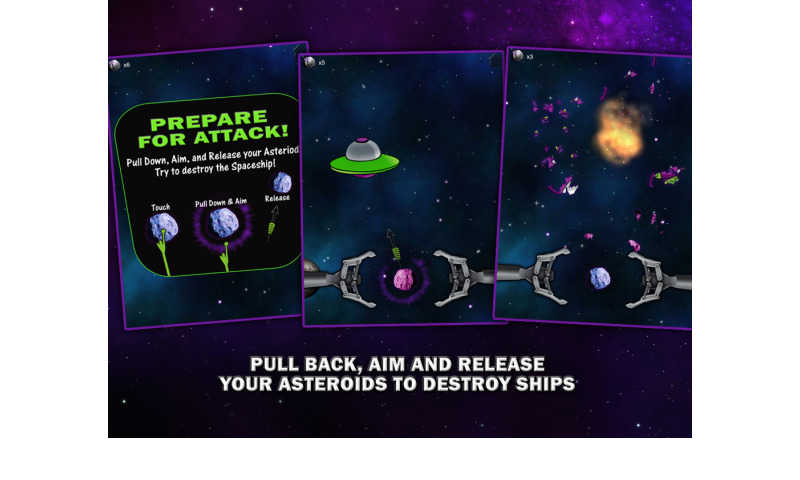 This is designed to be played on tablets. Due to the difference in speaker quality depending on devices, we suggest using headphones for the best audio experience. 300 pre-recorded 1st grade spelling words! 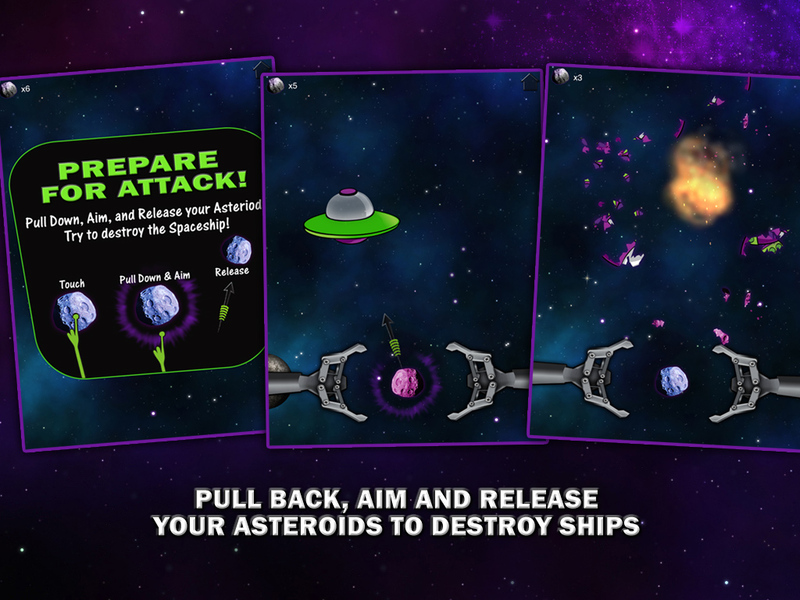 This app is a wonderful learning tool for kids of all ages. 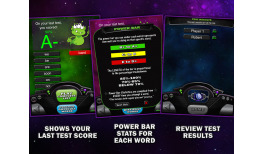 It encourages kids to play/practice their spelling, and gives parents a little break from repeating lists over and over verbally each night during the week! 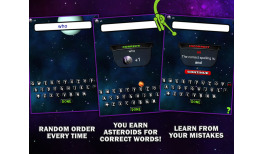 Earn asteroids during gameplay as you correctly spell words! Kids can practice their "entire list" or focus on "difficult words" to hone in on specific words in their list they are struggling with for extra practice! 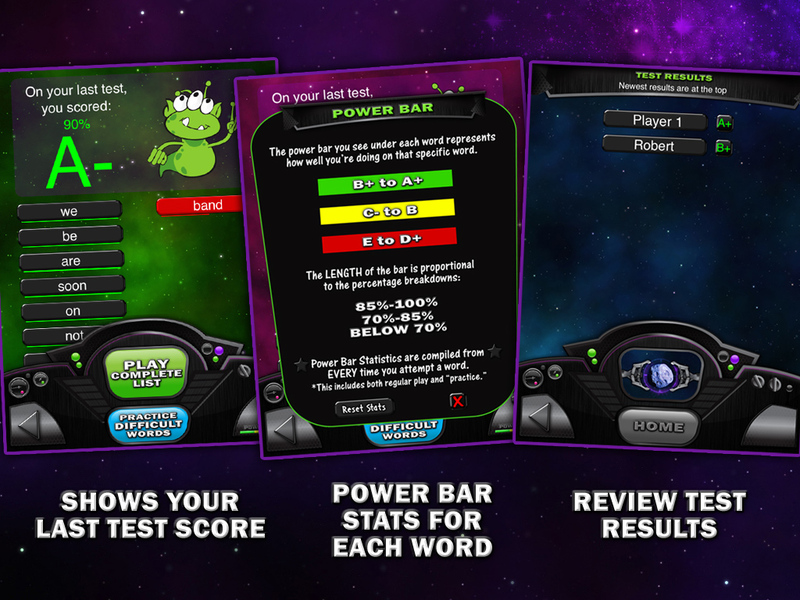 Power bar statistics tracks the percentage based on the amount of times they've spelled each word in their list. Great for families and classroom settings! Create as many accounts as you like! 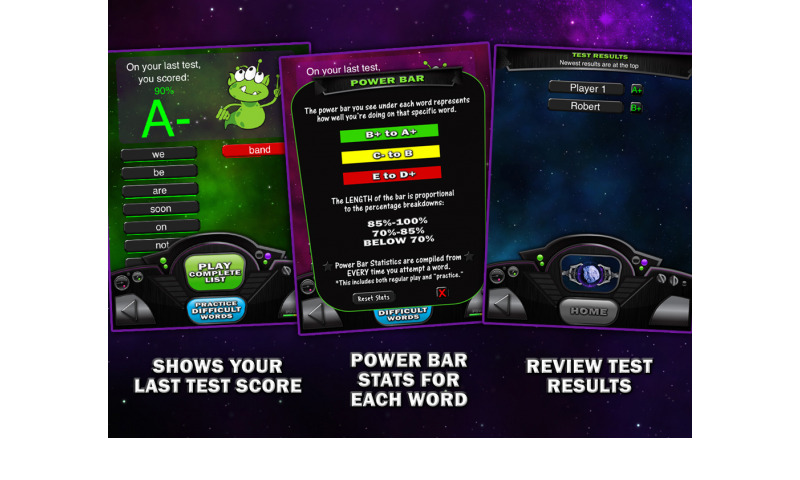 Parents and Teachers have noted improvements in spelling test grades when using this app! View a report on every spelling list and see every grade your child scored on that list when they have completed a full test! 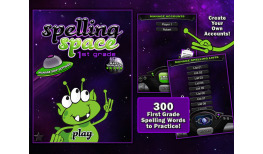 A totally FUN way to practice your spelling!! !